My name is David Kitner, and I am the manager of Killam Ranch Properties, Ltd. I manage several ranches from South Texas to the Flint Hills of SE Kansas. My presentation will mainly focus on the transformation of the Duval County Ranch in Deep South Texas, and how I utilize rotational grazing to benefit the land and the cattle. Duval County Ranch is located 2 hours south of San Antonio, and covers 125,000 plus contiguous acres. It is located in an arid, mesquite covered region. Along with the mesquite, there are numerous species of brush that cover the landscape. Forage production is limited by the amount of brush cover. The ranch is split by 3 major highways which present another challenge to its management. The ranch is a multi-use operation consisting of grazing mainly stocker cattle, a hunting/wildlife operation, and also oil and mineral production. I would like to stress that the Duval County Ranch is a working ranch, and none of the oil and gas revenue goes into the ranch budget. My management entails the planning and supervision of all surface operations on the property. I came to the DCR in 2001, and prior management used what could be considered a “scorched earth” policy. The ranch was severely overgrazed with cattle in every pasture on the ranch with no rotation in effect. Forage was non-existent and bare ground was extensive across the ranch. My first objective was to de-stock the ranch to begin the healing process, and with the owner’s blessing this is what I did. The ranch had over 2000 head of stocker cattle and around 750 cows at this time. The stocker cattle were easy to remove by shipping them to a feedlot. The cows took more time to remove. Having stockers as opposed to cows is an important step in planning for drought, as stockers are much easier to disperse should the need arise. My main objective was to heal the land so that we could improve the water cycle by increasing the ground cover/forage on the range. This would help with not only cattle production, but all wildlife as well. In this area, the annual rainfall is 21 inches, though that is not always the case. Moderate or severe drought can be expected 2 or 3 years out of 5. A major step towards improving carrying capacity is better water distribution, which I improved by dramatically increasing the water system. Over 100 miles of water line was installed, with numerous 8 foot concrete troughs. This has been a huge, on-going project, utilizing just ranch help and equipment. I used a computer mapping program to plan the placement of the lines and troughs for utmost efficiency. The water on the ranch is supplied by four large wells, and the water is stored in five 20,000 gallon tanks on a hilltop, providing a gravity flow delivery. The water flows through large mainlines, with numerous smaller lines spreading off feeding the 200+ troughs. In addition to de-stocking and water improvements, brush control was an integral part of increasing forage. To this end, we instituted a burning and brush spraying program in cooperation with NRCS and most especially Jason Hohlt, the GLCI coordinator in our area at the time. Our brush spraying has mainly targeted Mesquite and prickly pear. Our mixed brush species are valuable forage for our wildlife. The response of our native grasses has been unbelievable. When you remove the canopy and the competition for rain water, the forage species explode. One problem to be aware of with spraying mesquite is that you have a short time window in which the chemicals are effective, and if the plants aren’t in the right condition to spray, then you lose a year, as we did this year. Our kill rates on our target species has ranged from 75% to 90+%. Prescribed burns have also been incorporated in our brush management plans. Burning has been very effective in suppressing prickly pear after running a Lawson Aerator over a pasture. We have almost eliminated pear in our receiving traps using fire as the suppressor. Stockers getting accustomed to the ranch. With the improvements begun and the land healing, stockers were re-introduced, with a main goal of low- stress cattle handling and pasture rotation helping to further improve range conditions. Our stockers are bought through order buyers and trucked to the ranch. Our first step is to turn them out into an arena (which has been converted into a processing facility) with plenty of hay and water available, to acclimate and recover from the trip. We then process them, and move them into a series of small traps before turning them out into larger pastures. I have set up fenced lanes from the arena to these traps to assist in gentling the cattle, so there is nowhere for them to panic and run. A man on horseback ahead, and a dog and man behind aids in training them to follow the horses down the lane to the traps. The cattle will spend around three weeks in these small traps, and all during this time they are being monitored for health issues, and being trained to come to the cake truck. The cattle in the traps are gathered horseback every morning into water lots where they are fed by the same truck that will feed them when they get to the larger pastures. They are checked for health issues and any pulls are driven down a lane to a small corral to be temped and treated. Any sick cattle are placed in separate traps away from the herd to avoid spreading illnesses. I’ve put a siren on the cake truck (this is extremely helpful) that we sound so that when they get to larger pastures, they can hear us and come running even if they can’t see us. We feed them daily with range cubes, so they learn to associate the truck with receiving the cube. We also move them from small trap to small trap with the cake truck, so they are learning to move easily, associating moving with new grass and more cake. Low stress is key! I’ve incorporated original fencing with new fencing to create a system conducive to both the training of the cattle and the forage production. Our smaller traps are only 15-30 acres in size, enabling me to see all the cattle on a regular basis, gauging their health and condition. From there, they are moved into larger pastures, around 1200 acres. By this time they are pretty well used to doing things my way, and they are eventually released into pastures of 5000 acres plus. They are still visited by a cowboy and the cake truck blowing the siren 2-3 times a week so they don’t forget their lessons. They know if they show up, they will get a treat. To move them between the larger pastures, the cake truck leads the way with just one or two cowboys behind to move along strays. It is a simple, effective method. Patience is the most important element in every operation we do with our cattle. My favorite saying to my men is “the slower you move, the quicker we get done!” This style of large scale rotational grazing is uncommon in the region, and many consider it to be impossible to implement. It just takes some thought and planning. Allowing our pastures periodic rest has been a huge part of reducing our labor costs and efficiently managing forage. Owner David Killam on the ranch. How I decide when to rotate the cattle in the pastures relies on no set formula. Range conditions dictate when the cattle are moved, and those conditions are dependent on rainfall and weather. I rely on eyeballing and experience based on 40+ years of observation. You can’t just put a date on rotating pastures, you will end up either over-grazing them or under-grazing them. It takes a trained eye to decide how much grazing is enough, and how much is too much. I prefer to err on the side of under-grazing, rather than take the chance of over- grazing a pasture. Too often people don’t move the cattle quick enough. Under grazing doesn’t cause too many problems, but overgrazing has consequences that take a lot of time and effort to reverse. There are a few strategies I have used to mitigate the risk of loss in drought years. Of course, one advantage of stockers is the ease of putting wheels under them when you run out of grass, but there are other things I have used that are effective. One tool that I use is a drought insurance policy, which is beneficial in helping us through times of drought. Having ranches in Kansas has benefited our South Texas cattle herds as well as our Nebraska herds by having that range available when either property has an experienced a substantial drought. We were able to keep our cow numbers stable through the droughts by using our Kansas properties to winter cows on. An additional level of flexibility is afforded by having two additional smaller properties in this region that we can truck cattle to if the need arises. On the rare occasion that we have too much grass, we will take in pasture cattle, or use that extra grass to fuel prescribed burns. Another tool I use is forward marketing of our feeder cattle. To be able to deliver the cattle at a certain weight on a certain date, you really need to plan your grazing accordingly so that you can meet those deadlines. As I said earlier, when I started working with this property the ranch was stocked with 2000 stockers and 750 cows. The cattle were subsisting on brush, weeds, and any grass plant that would attempt to establish. The slightest drought would cripple the herd and profit was rare. In current times, we have restocked the ranch close to the same level. 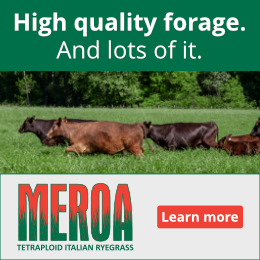 The difference now is that it is stocked based on the amount of established perennial grass and forage available. I am constantly evaluating it, and stocking accordingly. Of course, markets play a big role in my decision, but the amount of forage is the major factor. Mild to moderate droughts can now be tolerated while maintaining the herd, and profit is the norm under our current system. Duval County Ranch buck. Click to visit their Facebook page with photos of other bucks and wildlife. We are not just interested in improving the range for the cattle, the wildlife health and habitat is very important to us. As much as the ranch improvements have benefited the cattle, the wildlife has also greatly improved. The changes implemented–the rotational grazing, prescribed burns, and brush control–have had a very beneficial effect on wildlife and habitat. As important as cattle are to this ranch, whitetail deer hunting is a significant source of revenue. I implemented a wildlife management plan which stressed harvesting only mature deer, and we have gone from having deer scoring 160 inches being our best, to now harvesting numerous deer over 200 inches, with some as big as 230+ inches. I keep extensive records on the deer harvest that document its improvement. This is all done in conjunction with the cattle grazing, because despite what most hunters believe, the two co-exist easily. This has not been on overnight success story, though it is definitely a success. Of course there have been mistakes along the way, and all you can do is learn from them and move forward with your plan. My main frustration has always been being able to hire the right people. The labor pool for our type of ranch jobs is slim, and it’s just difficult to find responsible, reliable, capable help. IF you can find the right help, your job is a lot easier! This ranch operates with just 5-7 hands, plus myself, which averages out to over 20,000 acres per worker, so you can see we are all stretched pretty thin. On this ranch the help needs to be ready to do just about anything. I feel a great deal of satisfaction and pride in being able to take a ranch that was over-grazed, over-stocked, and over-hunted in 2001, and bring it up to a state of production that earned it the Lone Star Land Steward Award in 2010. I am always striving to improve the ranch and to “work smarter, not harder”. This article is from a presentation at the National Conference on Grazing Lands in 2015 put on by the National Grazing Lands Coalition. The 2018 conference is in Reno, Nevada, December 2 – 5. It’s one of the best conferences we’ve ever been to. The speakers are great and you can meet and interact with so many graziers! We highly recommend you put it on your calendar! David Kitner has been involved in ranch management for 45 years. Since his arrival at Killam Duval County Ranch in 2001, he has made many changes. What once was an over-stocked, over-grazed, over-hunted ranch has been transformed by his management. His strong work ethic and honest, principled business practices have earned him recognition around the state as an excellent ranch manager and individual. He has an extensive background in cattle, wildlife, and range management. The ranch was awarded the Lone Star Land Steward Award in 2010, and David was named the Outstanding Conservation Rancher in 2012 for San Patricio County. David is Chairman of the South Texas Grazing Land Coalition and also sits on the state advisory board for Texas Grazing Land Coalition. Some of the many improvements David has made have been the implementation of rotational grazing, pasture rest, and water improvements. Well over 100 miles of water pipeline have been installed, with over 100 water troughs being added also. This has had a dramatic effect on both cattle and wildlife. The ranch is grazed mainly as a stocker operation. When we were switching from one server to another, the following two comments got left behind. This is a great article about how a ranch has used rotational grazing and hunting/wildlife to make huge and great changes in not only their profit margin but also the quality of their land. Excellent! Then, in the comments, this is a great discussion about some of the finer points of stockmanship (even though we understand this wasn’t the main thrust of the story). There are SO many different definitions and practices of “low-stress cattle handling” that we at Hand ‘n Hand Livestock Solutions have stopped using that term and use the term “Proper Stockmanship” which Bud Williams (my dad) used to describe what he taught and we continue to teach. That takes nothing away from others who practice or teach stockmanship in their own way, Patrick was just talking about Bud Williams Stockmanship. The animals in this article are handled in a way that the author feels is low-stress, and that’s fine. It’s so much better than the rough-and-tumble bang-on-them approach of some other ranches and certainly of years gone by. He’s not using Bud Williams’ techniques, but that’s totally ok too (and he never said he was in the article). The other stockmanship educators he mentioned each have their own take on what “low-stress” is and how it should be applied in various situations. Again, that’s all great. Patrick was just trying to bring up that there might be some stress problems with calling your animals and having them run up all excited. There are ways to call animals that don’t involve running and excitement, and there are ways to drive animals in large paddocks so you gain the result of an animal not under stress and an animal you can handle anywhere easily. We feel this excitement from calling comes at a cost through production loss (which the owner will never know because you don’t get a bill for it), illness, death loss, and difficulties when you do have to work these animals in a corral. As Patrick mentioned, Dad herded reindeer in the Arctic alone on 5,000,000 acres without any fences and walked them into a corral without “wings” or other fences to help. He also worked and taught in Canada, Australia, Texas, and Old Mexico where they have large pastures too. So, it certainly can be done. In reply to Tina Williams. It amazes me the talent that he had. Very few others have that gift, I certainly do not and am non-trainable according to my wife. I enjoyed reading David’s article and the other responses as well. It’s really great to hear about these success stories especially in my home state. I am a recent student of low stress livestock handling as formulated by the late Bud Williams and have been to a Hand ‘n Hand Livestock school. I’ve been reading Bud’s written materials on the Stockmanship.com website and have been watching the videos he produced and learning to apply his principles to my own cow herd. As far as I can tell, you have a fundamental misunderstanding of the principles of low stress livestock handling. The most obvious sign is that you call your stockers to feed with the siren and they run to the truck excitedly. This is very stressful on the cattle. I would recommend contacting one of the two OnPasture livestock handling sponsors (CattleExpressions or Hand ‘n Hand ) and arrange for on ranch training or at least attend a school. It has made a huge difference for me and I hope it will for you too. I am curious what you meant by “The most obvious sign is that you call your stockers to feed with the siren and they run to the truck excitedly. This is very stressful on the cattle.”? Other than training your livestock to come at a certain time to feed, how else are you suppose to bring them in? Nothing works as good as the siren for long distances and for a place as large as Mr. Kitners, I don’t see what else would work. Please enlighten me. Remember I am new to the low stress handling field (also called proper stockmanship) so I may not be the best source for advice. At the school the instructors stressed not to call the animals to feed where they will come running in an excited state. It’s ok to lead them to feed if done properly but not to bait and lead them with cubes. For my situation I almost entirely quit leading with cubes, started learning how to drive the animals from the rear, and when they must go into a working trap I will go to them and gather them and get them starting to move and then walk or drive to one side of the group and quietly call them with my old “sook” signal and they all follow me calmly to the trap. I do this by myself but it will work better if you have a good working dog or another person to bring up the rear of the herd. I do this because I am not able to control the herd direction yet and I must sell calves periodically. I believe it would be possible to train your animals to calmly come to the siren, but you will first need to learn how to properly drive animals, then train your animals to drive, then train them to come to the siren. The most difficult part of this will be for you to learn how to do all the things required to drive your animals. The animals will learn very quickly if done properly. I have seen some learn things in minutes where I have been learning how to drive animals for almost two years. This process will quickly rekindle the herding behavior in the animals so they will stay and move together in one bunch. You will train them to respond to what you tell them instead of coming to cubes or wanting to move at a certain time to new feed. Bud worked reindeer on 5 million acres in the arctic. He was able to train them to be driven and they would stay together as a herd and work through corrals like domestic livestock. Wow, that was interesting! From time to time I go out and feed my cows cubes by hand, just for a snack and to get used to me. I am able to walk around them and when needed spray them with a spray bottle to eliminate flies. Always looking for new ways to do things that don’t require penning them up and getting them agitated. Thanks for taking the time to respond. I’m reluctant to reply to you comments, but feel compelled to do so to clear up some of your misunderstandings about the way I handle cattle. Unfortunately I did not send Kathy the drone video of us moving cattle, it would show how calm and happy the cattle were. There is a difference between animals stressed by noise to animals happy about getting fed. I am not sure who your mentors are, but I considered Bud Williams a friend until his passing. I took several of my employees to different schools that Bud put on and was able to spend hours visiting with him discussing his methods. There is no bigger fan of Mr. Williams than myself, or no bigger proponent of low-stress cattle handling. Kurt Pate, another well known stockmanship teacher, has put on a seminar for us and has been to the ranch and stayed here also. 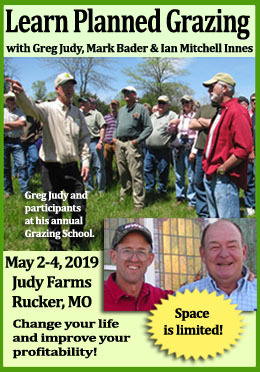 I have also attended schools put on by Dr. Ron Gill who is another well known stockman, so I have been taught “proper stockmanship”. Calling cattle with a siren and having them come to you in an 8,000 acre pasture where you cannot see the first animal because of the brush is much less stressful on them than hiring a couple of helicopters to gather 80% of these cattle. It is also much less stressful than getting 15 or 20 men horseback ,if you could find them, with dogs and try and gather these large pastures. I think you missed the point of the article. I am not sure what the size of your operation or your pastures are, but until you are a little more knowledgeable in what you are talking about you should learn to refrain from giving advice to others. 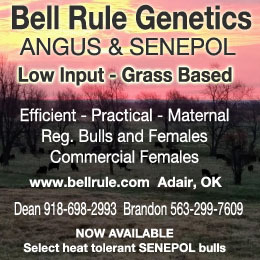 Our operation spans from Deep South Texas to Kansas, Nebraska and North Central Montana and we handle about 6,000 cows a year as well as their offspring and several thousand purchased stockers. If we were doing it wrong we would be out of business. I didn’t intend to suggest you were doing anything wrong only that there is a fundamental misunderstanding of what is meant by low stress based on the statement “they can hear us and come running” . I took the proper stockmanship class from Tina Williams and Richard McConnell in 2015 (Bud’s daughter and son-in-law) and one thing they really stressed was to not call the animals to feed because it tends to put them in an excited state (versus being happy) which is stressfull and counterproductive to proper stockmanship. The only thing that I think that I have any credibility on giving advice is that it is highly likely that everyone misunderstands at least something about Bud’s methods. I have two years of experience in that field and have heard the same thing from several instructors who had Bud as a mentor.